This past week, I’m very pleased to have been able to attend, participate and speak in a few of the events dedicated to celebrate the memory of Imam al-Haddad in Kuala Lumpur. (More on that is available here and here.) A great pleasure to see old colleagues at CASIS, where I am privileged to be a visiting professor. By a beautiful confluence, a tour had been arranged in Indonesia tracking the path of the ‘Wali Songo’, the ‘Nine Saints’. I travelled from Malaysia to Surabaya to join it, with it seeming very fitting indeed. The tradition that sustained, spread and strengthened Islam in this part of the world was the same one as Imam al-Haddad, though often via countries of great beauty, other than the Yemen. As we departed one of the maqams yesterday, one of participants raised the question of where the Wali Songo had indeed come from. 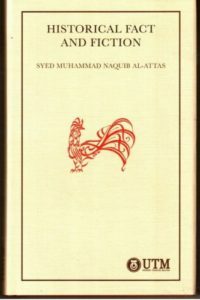 One of my teachers and mentors, Professor Sayyid Naquib al-Attas, wrote a book on the subject. In this latest and very exciting work, Historical Fact and Fiction, Tan Sri al-Attas argues, with irrefutable evidence and characteristic incisive logic, the cultural and personal identity of the early missionaries who, with great spiritual vision, planning and sacrifice, brought the religion of Islam to various parts of Southeast Asia, including Indo China, the Malay Peninsula, Indonesia, Brunei, and Southern Philippines without the attendant benefits of military force or external sovereign power. He starts by offering a definition of the nature of Islamic civilization and the Malay civilization of which it is an integral part. This concise definition of what an Islamic civilization is is arguably done for the first time. He gives a penetrating insight into the ways of spurious thinking and analytical reasoning among the historians of the Malay world in their explanation and interpretation of historical events pertaining to the coming and spread of Islam in the Archipelago from the 8th century, and especially from the 12th-16th centuries of the Common Era. He also offers compelling empirical, rational, and genealogical evidence, supported by a wide knowledge of the religion of Islam and its cultural and political history, that almost all of the early Muslim missionaries in this region descended from al-Husayn, the grandson of the Prophet Muhammad (PBUH), and came from the Great House of Ahmad bin Isa al-Muhajir, the ancestor of the Sayyids of Hadramaut, Yemen. They brought Islam to the Malay world directly from the Arab world and some through Persia, while some others via India and Indo-China. All the great Muslim missionaries in Southeast Asia originated from Imam Muhammad Sahib Marbat, who is descended from Ahmad Isa al-Muhajir. He exposes factual errors and logical fallacies in the chronological framework and the educated conjectures of the prominent historians of this region, as well as their tainted assumptions on the religious and cultural effects of Islamization in our history. In dealing with the Islamic past, his critique of their empirical estimation deserves due appreciation. Nevertheless, he always maintains his intellectual integrity and honesty by acknowledging the important and useful contributions of these historians. In any case, a beautiful land indeed – with a wondrous people.